Daily enrollment for district-run schools is based on point-in-time data snapshots from Aeries student information system. 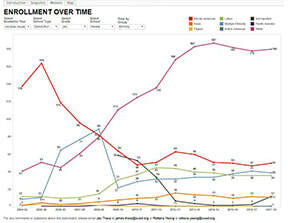 These figures differ from “official enrollment” which is released by the California Department of Education (CDE) each Spring and based on statewide validation of figures from the Fall Census Day (first Wednesday of October, also known as "CBEDS Day" -- a reference to the California Basic Educational Data System). 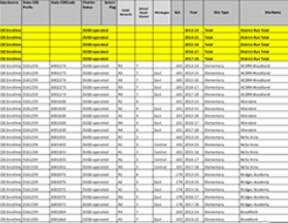 Shows the latest Aeries enrollment counts for the district, network, and schools. View by grade level disaggregated by demographic subgroups, and home languages. 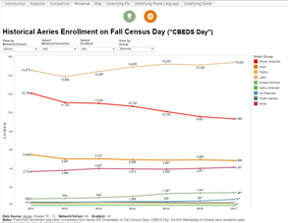 Compares latest Aeries enrollment counts to a preliminary data snapshot taken from Aeries on the most recent Fall Census Day. View changes in enrollment across networks, grades, and schools. Series of Aeries preliminary enrollment data snapshots taken on Fall Census Day in each of the past 7 years. 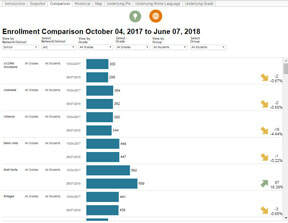 View trends for different schools, grades, and subgroups. 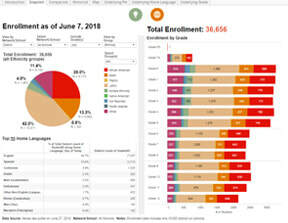 Over 10 years of official enrollment numbers from state CDE DataQuest in dashboard format. 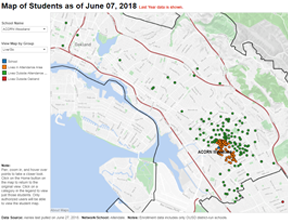 ​For comments or questions about this dashboard, please email James Tharp at james.tharp@ousd.org.